2nd prize in the non-open ideas competition with seven participants. 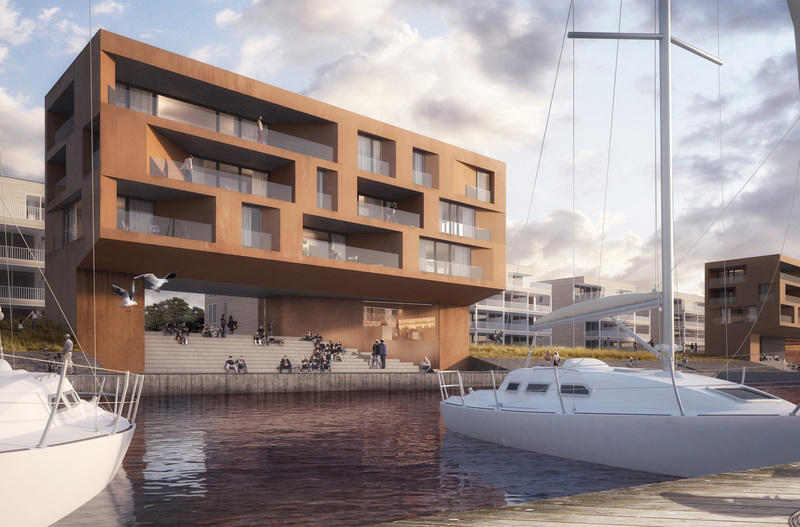 The masterplan for the project “Priwall Waterfront” envisages the redevelopment of the area around Passathafen and Kohlenhofkai. Four buildings are planned for construction directly at the Promenade, with the aim of developing the northwest section of the Priwall into a family-oriented tourist area. 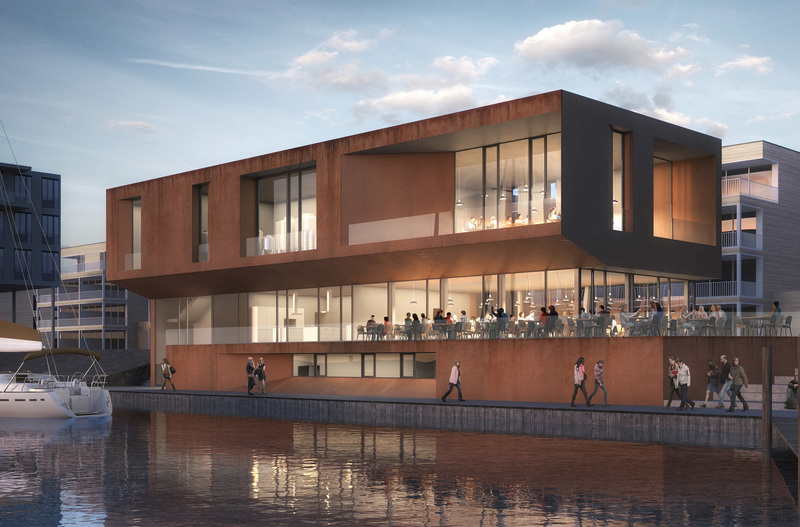 The three buildings relevant to this competition, namely buildings two to four, are to accommodate a brewery, apartments and tourist-oriented retail space. 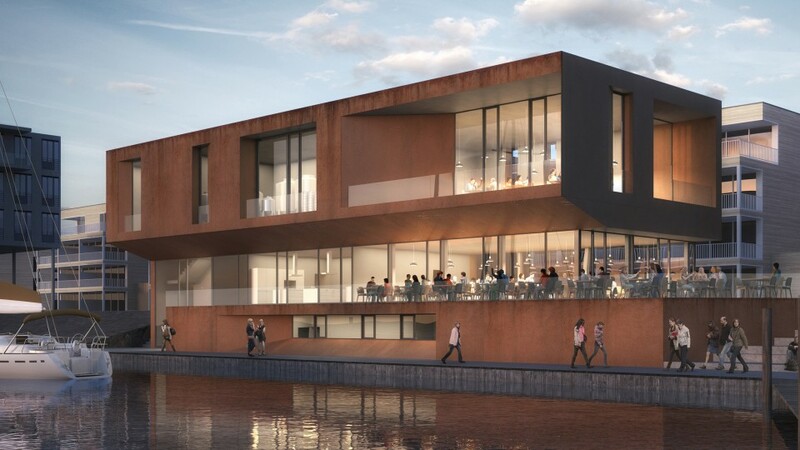 The sculpturally designed buildings are to have a distinctly maritime appearance, calling for a modern, self-confident design language. 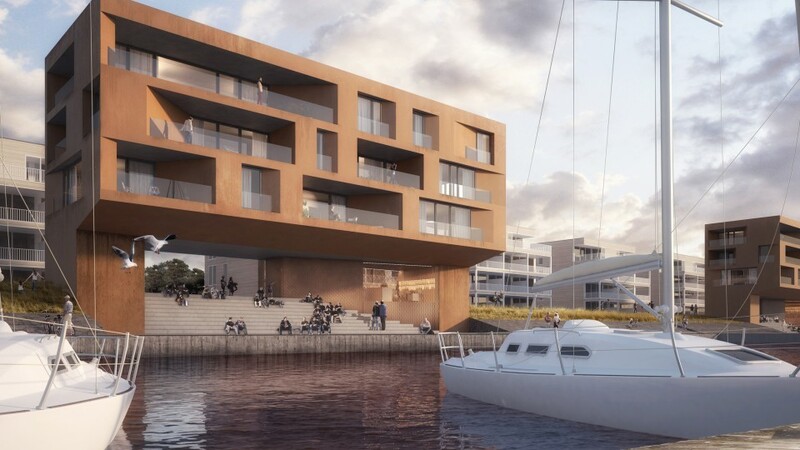 References to port architecture are created through the choice of materials and typology: the formation of an elevated structure is reminiscent of harbour cranes while the choice of Corten steel as surface material makes reference to maritime elements such as containers, mooring poles and chains. Playfully arranged recesses and inwardly inclined surfaces emphasize the otherwise clear proportions and harmonious design of the buildings.